Nissan have announced that its range of hybrid models would be expanded with 15 new petrol-electric models by March 2017. The automaker’s decision to expand is aimed at making its line of green hybrid models more attractive than its competitors. Nissan’s green plans are a part of a long-term strategy aimed at taking advantage of the increasing demand for environmentally friendly cars. Nissan Japan also announced that the launch of an electric version of Infiniti luxury car would happen some time in 2014. And even though this new electric car has received mixed reviews from experts, varied from each other, but they agree about they all agree that the model is one of the most significant models in recent years and that it envisions the future of vehicles. 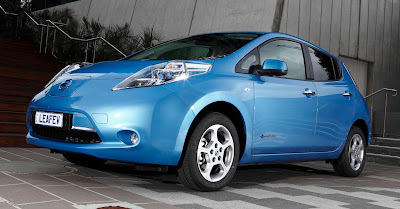 Experts have concluded that that all of Nissan’s plans indicate that the Japan’s car manufacturer is ready to move away from gasoline engine vehicles despite the fact that the company is currently struggling with the LEAF model in the U.S. Despite slow LEAF sales, Nissan remains committed to its six-year environmental protection plan, which was released in 2011. The company’s green plan is aimed at reducing emissions generated by its vehicles, production and other activities. Nissan’s increased focus on the expansion of its hybrids and EVs is partly due to the current situation in the Chinese market. Japan’s car manufacturers, including Nissan Motor Co., Toyota Motor Corp. and Honda Motor Co., have been suffering due to a territorial dispute between China and Japan. Japan’s exporters saw their sales drop and they are looking for new markets which could offset losses in China. Nissan believes that sales of its hybrid and EV models will protect it from any other potential downturn that might occur in China.